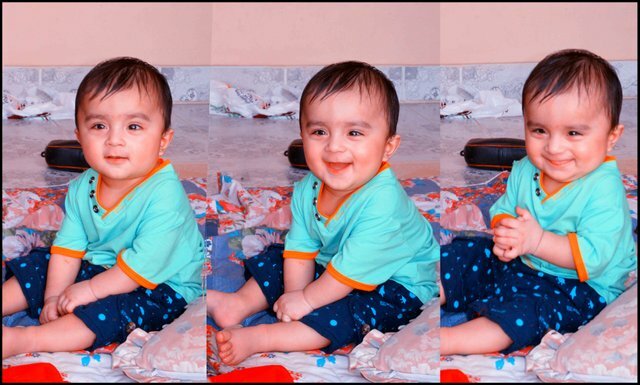 Hi, Friends :) Rizwan name of baby He is such cute baby so intelligent baby he always want watch cartoons and like to play with friends if around people with them they scared and a lot crying they not trust people to early. You got a 4.51% upvote from @emperorofnaps courtesy of @dailynewfeed! You got a 7.47% upvote from @dailyupvotes courtesy of @dailynewfeed! You got a 1.52% upvote from @moneymatchgaming courtesy of @dailynewfeed! Please consider upvoting this post to help support the MMG Competitive Gaming Community.